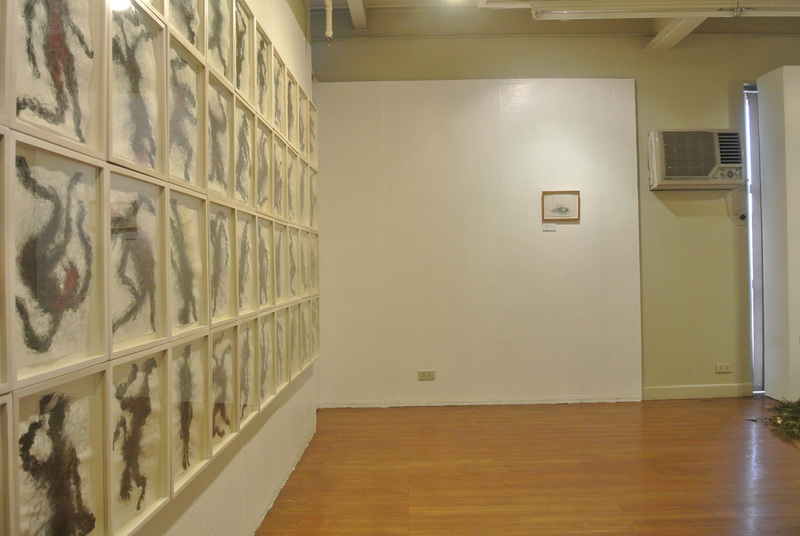 Oca Villamiel, more than a year after returning to the art scene with “Stories of Our Time,” chose not to provide a specific title for his latest one-man exhibit at West Gallery. 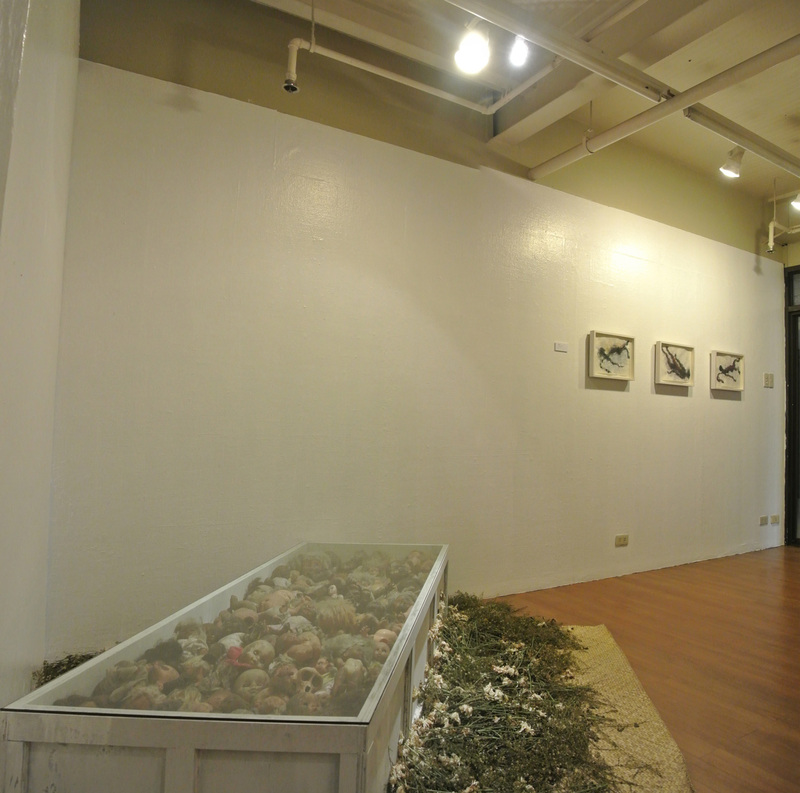 Works on Paper and Installation features a set of drawings on Japanese paper and an installation of discarded doll figures sourced from the dumpsite in Payatas. 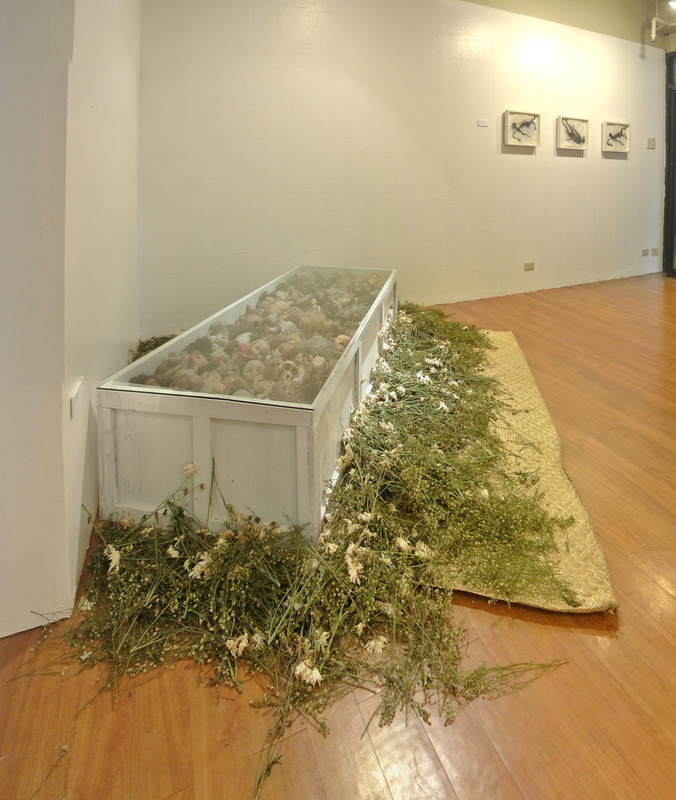 All of them speak about the human condition, about distressed overseas Filipino workers in particular. 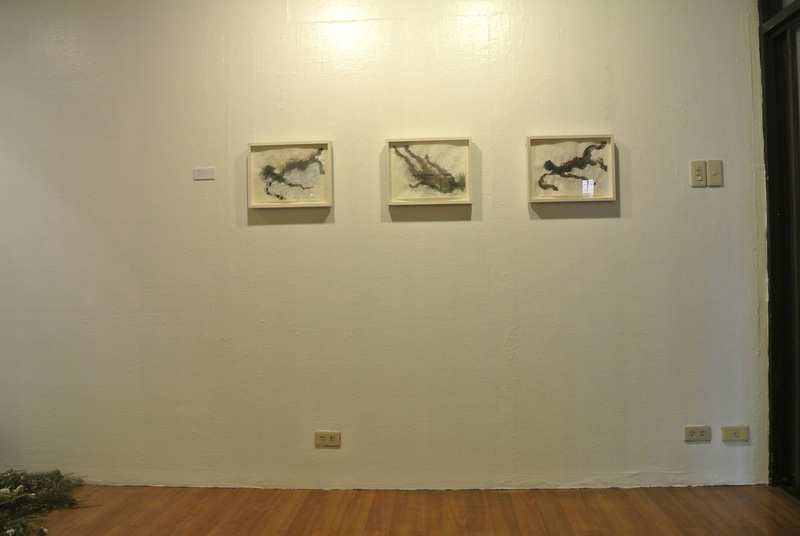 Villamiel is not just an artist, but an avid collector as well. 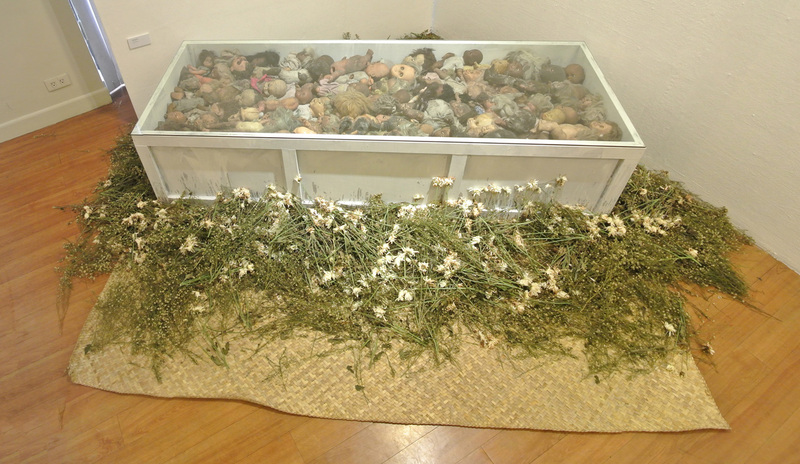 While some are for his personal consumption, most of them eventually become the materials for his artworks, such as the dolls he recovered from the dumpsite after immersing himself in the community to witness how the poorest of the poor lived day to day. It may be disheartening but Villamiel is full of hope, and he believes change is still coming. “Welcome Home” is a visual ode to OFW fatalities in recent years. Villamiel recalls the familiar Filipino practice of arriving in droves to fetch a returning kin from the airport. 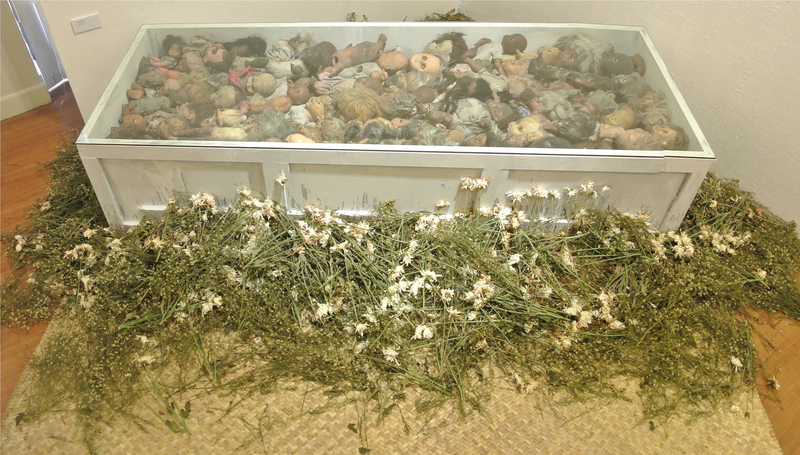 He takes this image with him as he assembles the discarded dolls on top of one another in what appears to be a makeshift, glass-covered casket. Not every homecoming is a happy one. The dolls are just a semblance of their once-attractive selves, and they are now covered in dirt and grime, not very different from our countrymen who suffered abuse and oppression in foreign lands. Then, there is “My People,” a series of ink and charcoal drawings of a human figure in various positions, perhaps representing each path an individual takes. In and around the central figure is a handwritten prayer composed by Villamiel himself. Along with his artistic drive to continue creating new works is a sincere intention to help alleviate pain and suffering. 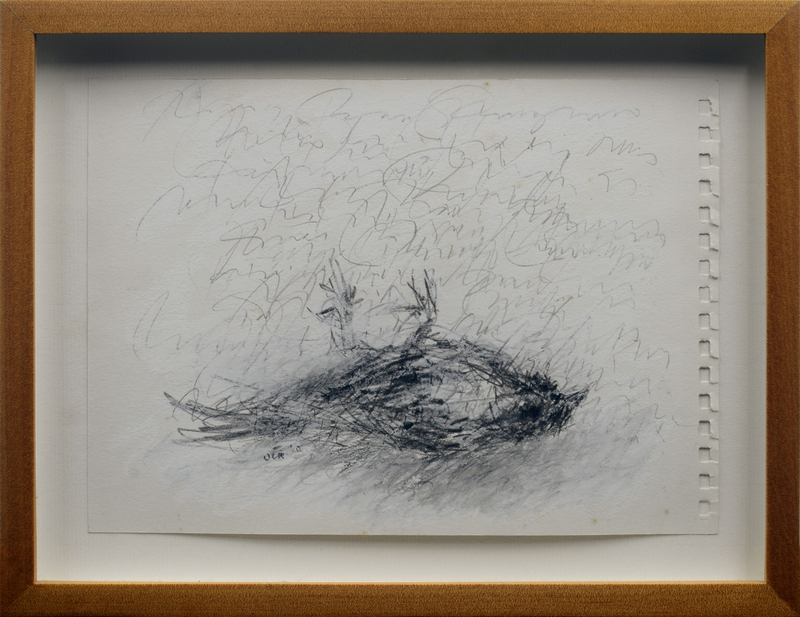 Also included in the exhibit is a piece from his personal collection, titled “Motherland.” Similar to the “My People” series, it features a drawing of a fallen bird, surrounded by text in the hope of nurturing it back to health.